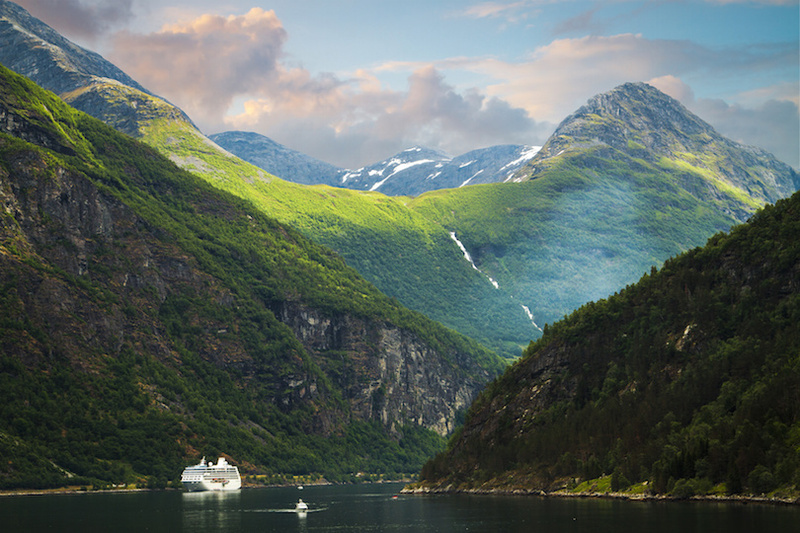 During the ice ages, water from melted glaciers filled up deep valleys, forming the prodigies of nature that are known today as fjords. Among the most famous and beautiful of these fjords is Geirangerfjord, located in southwestern Norway near the coastal town of Ålesund. 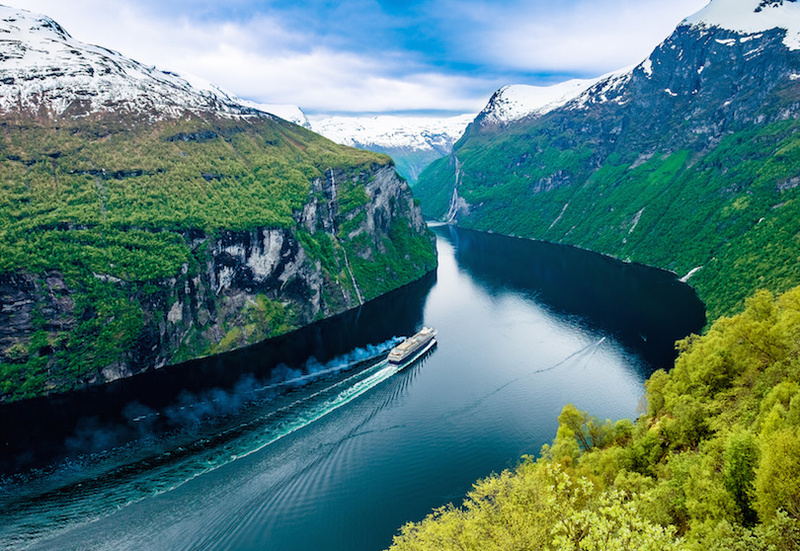 Stretching for more than nine miles (15 km) long, Geirangerfjord is a natural wonder of deep blue water surrounded by majestic cliffs and lush green mountains towering more than 3,500 feet (1,000 meters) high. Adding to the spectacular scenery are several stunning waterfalls and lush countryside dotted with picturesque farms. 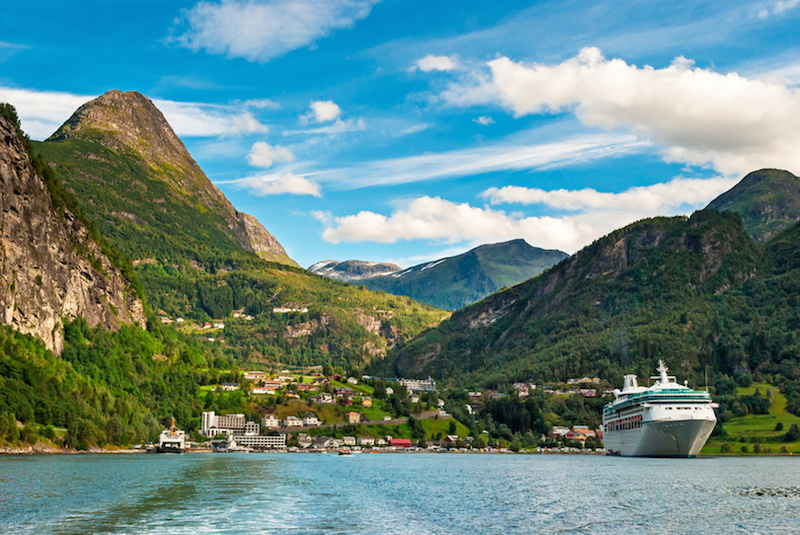 A visit to Geirangerfjord offers a variety of attractions and adventures. Not to be missed are the impressive waterfalls that include the Seven Sisters. 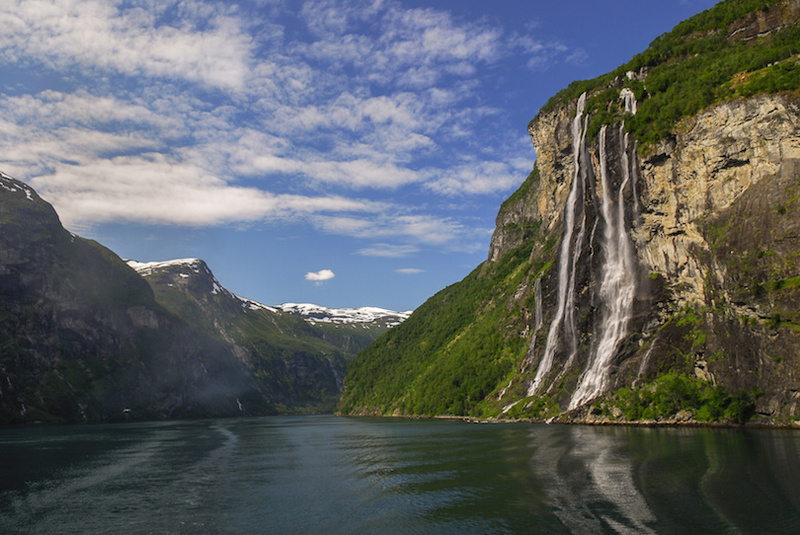 Jutting out from the cliff sides in seven separate cataracts, the Seven Sisters waterfall plunges more than 800 feet (250 meter) into the fjord, creating a refreshing curtain in which people can actually walk behind. 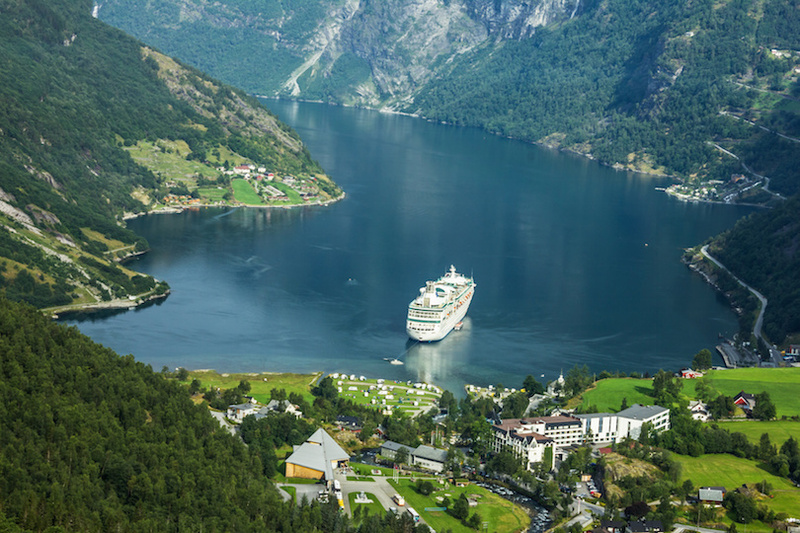 Not far from the fjord is the town of Geiranger, home to restaurants, lodging and the Geiranger Fjord Centre, which displays exhibits about the history and culture of the area. 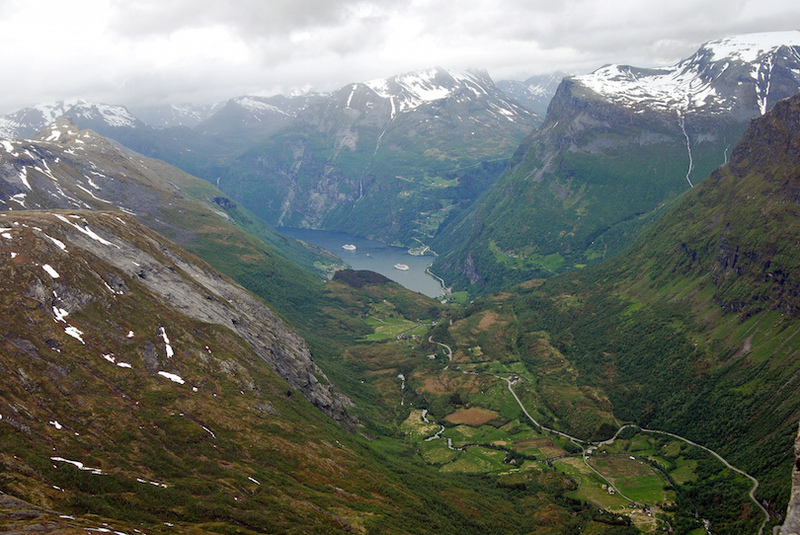 On each side of the fjord, the lush mountains are dotted with quaint farms. 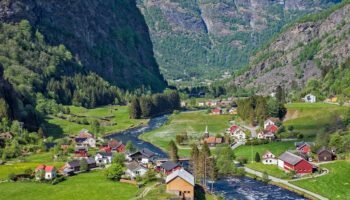 Several of these farms offer accommodation, home cooked Norwegian food and opportunities to meet farm animals and learn about the local farming industry. 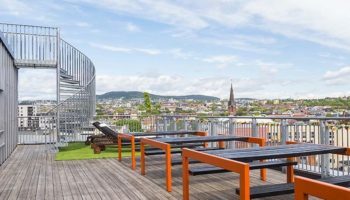 Two of the most popular of these are the Westerås Farm and Herdalssetra Mountain Farm. 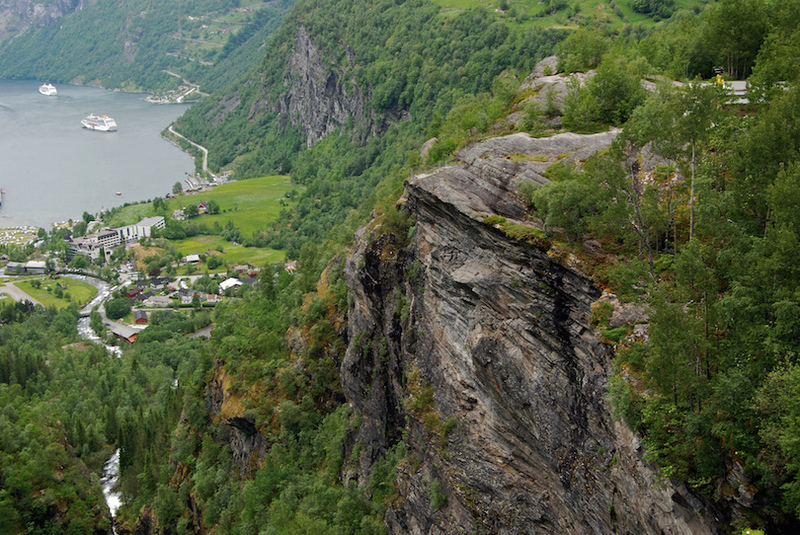 A great number of hiking trails in the area offer adventure and splendid viewpoints of the fjord. In the winter, skiing is popular in the snow-covered mountains. Kayaking, canoeing, rafting and fishing are also great ways to experience the wonder of Geirangerfjord. What’s more, there are plenty of boat cruises available. 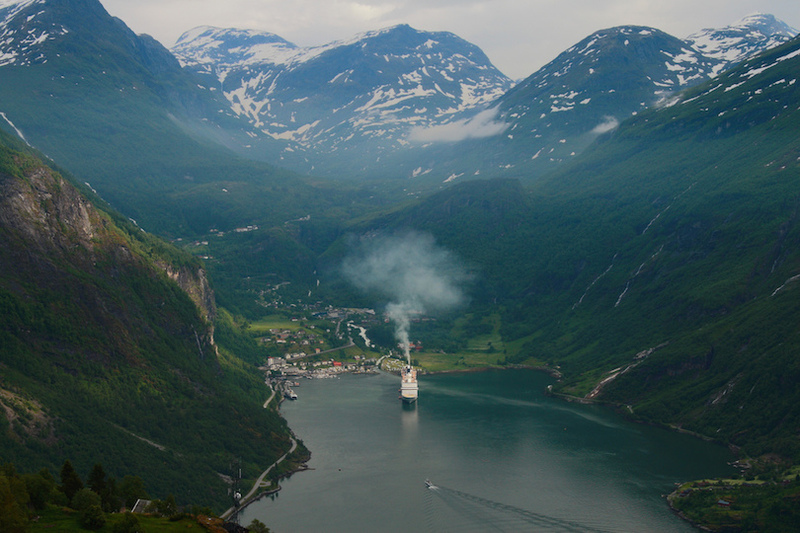 A car ferry runs lengthwise along the fjord between Geiranger town and the small village of Hellesylt.